Biorock™ technology is an innovative process originally invented in 1976 by the late architect Professor Wolf Hilbertz to produce natural building materials in the sea. Biorock materials are the only marine construction material that grow, get stronger with age, and are self-repairing. 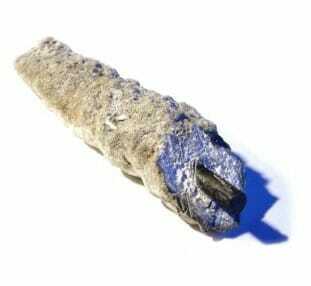 Wolf called it Mineral Accretion Technlogoy™, Seacrete™, or Seament™. 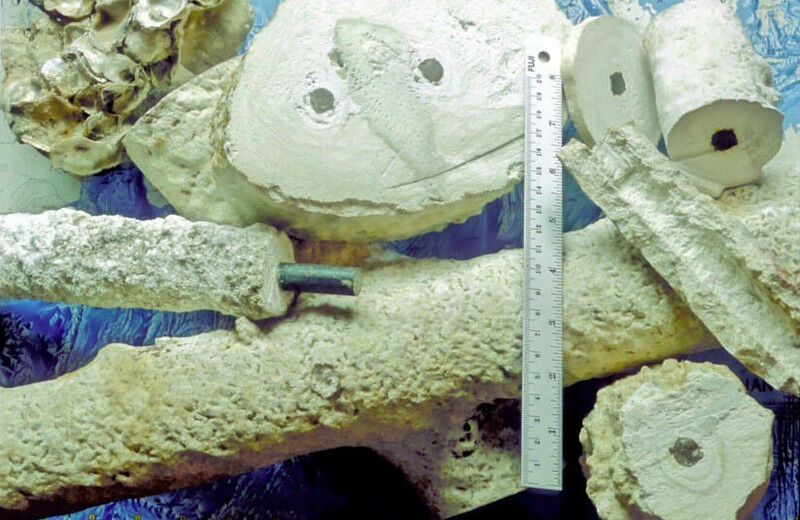 In 1987, biogeochemist Dr Tom Goreau invited Wolf to come to Jamaica to work with him to develop applications for coral reef restoration, and they decided to call the technology Biorock™, because it not only grew hard limestone rock for structural purposes, it greatly increased growth of corals and all marine organisms. They founded the Global Coral Reef Alliance to pursue research and development of Biorock™ Technology. Biorock™ technology has been successfully applied to fish and shellfish mariculture as well as to growing limestone breakwaters to protect islands and coastal areas from erosion and rising sea levels. It is a unique method that allows coral reefs, and other marine ecosystems including seagrass, salt marsh, mangrove, and oyster reefs to survive and recover from damage caused by excessive nutrients, climate change, and physical destruction by greatly increasing the settlement, growth, survival, and resistance to stresses, including high temperature and pollution, of all marine organisms. As a result, it keep ecosystems alive when they would otherwise die from severe stress, and restore them at record rates where there has been no natural recovery. 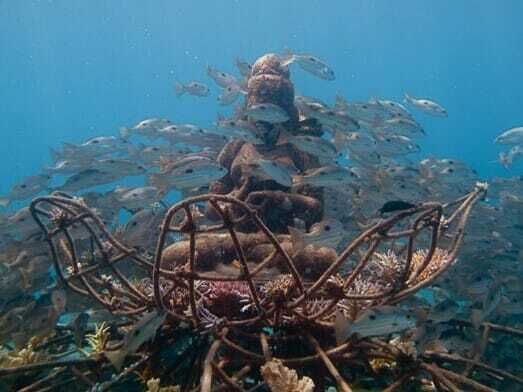 Around 500 Biorock™ reef structures have been built in around 40 countries all around the world, mostly in small islands, with around 400 of them in Indonesia with our local partners, Biorock™ Indonesia. Biorock™ technology can be powered by energy from the sun, winds, waves, and ocean currents, generated directly at the site. Ocean energy reduces global warming caused by oil, coal, and natural gas. Ocean wave and current energy could meet many times human energy needs, but are not being seriously developed, especially in poor coastal countries. Pioneering innovators in wave and tidal current energy work with us, providing their prototype devices to build demonstration Biorock™ pilot projects to demonstrate the vast potential of clean and underutilized ocean energy. Biorock™ coral reefs turn barren dead and dying areas into pristine reefs swarming with fishes in a few years, even where natural recovery is impossible. All other coral reef restoration methods work well only under perfect water quality conditions (but Biorock™ grows coral 2-10 times faster), but all fail when water becomes too hot, muddy, or polluted. Biorock™ corals continue to thrive when others die, and Biorock™ reefs cost less than other methods. Biorock™ technology greatly accelerates coral settlement, growth, healing, survival, and resistance to environmental stresses such as high temperature, sediment, and pollution. All other marine organisms examined also benefit. These amazing results happen because the Biorock™ process creates the ideal biophysical conditions that all forms of life use to make biochemical energy. This also has enormous implications for medicine and agriculture that we will develop. 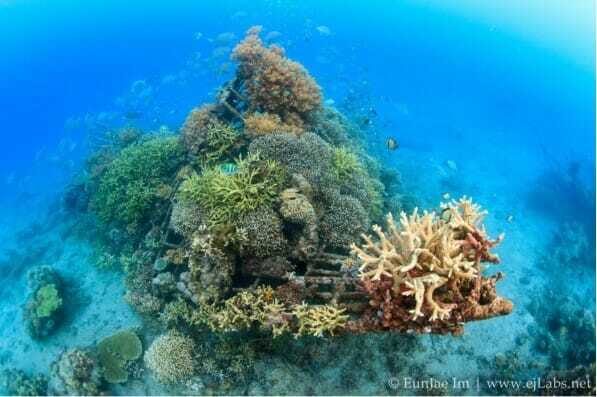 Biorock™ technology is the only sustainable method of protecting coral reefs from mass extinction from global warming. Every coral reef region of the world has already suffered from severe high temperature coral bleaching and mortality, and any further warming will destroy the little coral that is left. Corals growing on Biorock™ reefs have 1600% to 5000% times higher survival after severe bleaching than corals on nearby reefs. There is no other method known to protect corals from global warming, which is worsening as governments fail to reduce atmospheric greenhouse gases. Biorock™ Coral Arks, designed to save coral reef species from local extinction, are currently growing around 80% of all the coral reef genera in the world. There is an urgent need to establish them in all major reef areas and include all coral reef species, as this may be the only hope when global warming intensifies. The Biorock™ process uses electrically conductive materials like ordinary steel, the cheapest and most widely used construction material, to build structures of any size of shape in the sea. With the Biorock™ technology, the steel is completely protected from corrosion, first the rusty steel is un-rusted as red rust quickly turns grey and black and is converted back to iron. Then the structure turns white as limestone minerals that are naturally dissolved in seawater grow over the surface, producing a constantly growing hard rock coating. When grown slowly (less than 1-­‐‑2 centimeters per year) this material is around three times stronger than concrete made from ordinary Portland cement. The Biorock™ process produces the only marine construction material that gets stronger and harder with age. It is also the only marine construction material that is self-­repairing: if the mineral layer is broken, the damaged area grows back first. All other marine construction materials deteriorate with age and eventually need to be removed and replaced. Biorock™ structures save money by never needing replacement, and are many times cheaper to build than concrete or rock structures of the same size. They can easily be added onto later or changed to meet evolving needs. Biorock™ cements grown from salt water under different conditions are even harder after they set than primary Biorock™ materials. Moreover they actually absorb CO2 from the atmosphere as they set (Portland cement manufacture produces about 5-­‐‑10% as much CO2 as fossil fuel combustion), and can be cheaper than cement in many places. The Biorock™ process repairs rusted, cracked, and crumbling steel-­reinforced concrete structures like docks, piers, and sea walls. Rusting of interior reinforcing bar is stopped, and the cracks and holes in concrete fill in with rock-­‐‑hard limestone, from the inside out. Deteriorating structures that would have to be destroyed and replaced can be permanently repaired at low cost. Conventional concrete “repair” methods hide the outer appearance of damage by sealing it in, while internal deterioration continues. The Biorock™ process internally repairs and permanently stops rusting of steel pilings and bulkheads below the high tide line. Shipworms do not attack Biorock™ treated wood, and wood structures such as pilings can be impregnated with limestone: turning “sticks into stones”. Biorock™ provides the ideal breakwater material because it grows stronger with age and repairs itself if damaged by heavy waves. Biorock™ structures can be powered by wave energy generators that produce the most energy and fastest growth precisely when wave erosion is highest. Biorock™ shore protection structures are designed and engineered in a site-­‐‑specific way to withstand maximum wave energies. They are faster and cheaper to build than concrete or rock structures of the same size. Biorock™ breakwaters are designed and constructed as open frameworks that allow waves to pass through them, slowing them by friction. They operate under completely different physical principles than conventional breakwaters, using refraction instead of reflection. Waves passing through the structures reach the shore with less energy, so they deposit sand on beaches instead of eroding them. Biorock™ breakwaters avoid increased scour and erosion caused by solid breakwaters, which washes away all the sand in front, and then underneath them, accelerating undermining, cracking, settlement, and collapse. Rock and concrete module breakwaters can be armored over and cemented together with limestone, forming massive units that prevent rocks and concrete modules moving apart in heavy storms, and having to be reset with cranes at great cost. Biorock™ breakwaters gain strength with age, becoming more effective over time as surface area increases and corals, oysters, and mussels proliferate. Biorock™ structures in shallow water, sitting unattached on sand, un-­welded and held together only with binding wire, withstood some of the strongest hurricanes ever recorded in the Caribbean with only minor damage because waves were able to pass through them, while massive structures were overturned or ripped apart. Biorock™ shore protection reefs naturally re-­‐‑grow severely eroded beaches faster and more cheaply than any other method. The vast majority of beaches worldwide are disappearing due to global sea level rise and increased storm wave energy caused by global warming. Biorock™ reefs have the best, cheapest, and fastest results growing these beaches back. 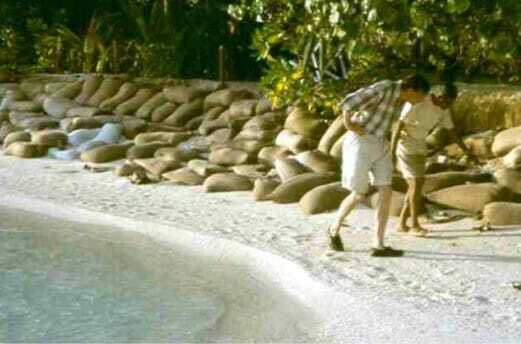 For example in the Maldives, one of the lowest lying countries in the world, a Biorock™ coral reef was grown in front of a beach that had disappeared. Trees were falling into the sea and buildings about to collapse. A new beach 50 feet (15 meters) wide grew behind the Biorock™ reef in 2-­3 years, and has remained stable for more than 15 years. The beach and reef were not damaged by the Asian Tsunami, which washed right over the island. Biorock™ shore protection structures on a severely eroding low island in Indonesia caused new beach growth that could be clearly seen on Google Earth satellite images after only 8 months. A sea wall that was undermined and about to fall was half buried in new sand a year after the Biorock™ shore protection structures were placed offshore, while new sea walls on nearby properties that were not protected by Biorock reefs were undermined and collapsed in a year. global climate change. Biorock™ structures can grow upwards at around 20 mm/year, and much faster when growth of corals and oysters on them is taken into account, so they provide the only opportunity for growing shore protection that can keep up with sea level rise. Conventional concrete or rock seawalls cost around $15 million per kilometer, Biorock™ shore protection reefs gain strength with age, are self‑repairing, cost much less than conventional structures, and provide many more benefits. Whole islands can be protected from submergence. Biorock™ oysters grow up to 10 times faster in length (1000 times faster in volume) and have up to 10 times higher survival under severe stress. The first Biorock™ project was completely overgrown by spontaneously settling oysters that grew to adult size in a few months. Biorock™ allows oyster reefs to be rapidly grown in habitats where there has been no previous recovery. Oyster reefs play a critical role in shore protection, water purification, fisheries habitat, and food supplies in cold waters, but almost all have been destroyed. Conventional oyster restoration techniques have failed because they lack the increased growth rates and survival that Biorock™ methods provide. 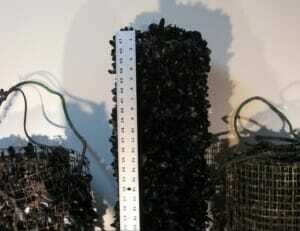 Floating oyster and mussel reefs can be grown to filter and clarify polluted water. 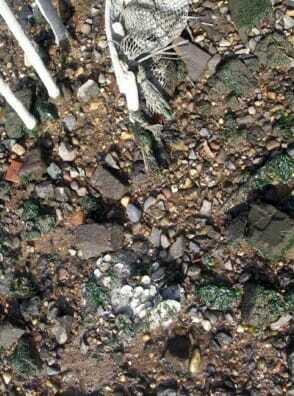 Biorock™ method increases sea grass growth and survival, even promoting growth and proliferation of roots on hard rock bottom where they are normally unable to survive. 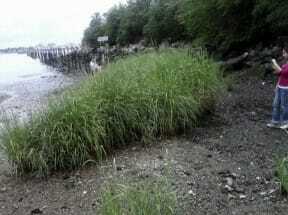 Sea grasses are critical juvenile fish and shellfish habitat. They also provide crucial shore protection services by stabilizing sand. Sea grasses are rapidly being destroyed worldwide, and Biorock™ technology provides the fastest way to restore them. vanishing. Salt marshes provide critical shore protection services and essential habitat for juvenile fish, shellfish, and birds, but salt marshes worldwide are rapidly vanishing. Louisiana salt marshes are currently disappearing at rates up to hundreds of meters a year. Biorock™ provides the only hope to restore them, along with oyster and mussel reefs, and naturally regain land that has been lost to the sea. Biorock™ methods create ideal habitat to restore damaged fisheries, especially on barren sand, mud or rock, where there are no reefs or seagrass to provide nursery habitat for baby fishes to hide in. Populations of fish, oysters, mussels, lobsters, crabs, and giant clams rapidly increase around Biorock™ projects, generating enormous fish schools. Indonesian fishermen report increased numbers, sizes, and diversity of fish in areas near Biorock™ projects. Each species needs habitat with different size and shaped spaces to attach to or hide in. Biorock™ habitat can be made in shapes that certain desired species prefer. Biorock™ reefs can be restocked with baby fishes collected in the open sea, turning >95% mortality into >95% survival, and is the fastest possible way to restore coastal fisheries, eliminating limitations caused by lack of juvenile recruitment, habitat, and food. Floating Biorock™ habitats moored in deeper water create floating reefs in deep blue water and can increase populations of valuable open ocean fish like tuna and mahi-­mahi. Biorock™ habitats specifically designed for economically valuable marine species greatly increase their populations, growth, and health. For example, spiny lobsters crowd densely into Biorock™ lobster habitat, greatly increasing their populations. These structures create a new paradigm for sustainable aquaculture: rapid growth of highly diverse marine ecosystems that grow their own food, eliminating pollution and the need for costly imported feeds. This is diametrically opposed to current practices that grow single species, usually single clones, promoting parasites, disease, genetic pollution of wild stocks, and harmful algae blooms that damage surrounding ecosystems and fisheries. Biorock™ methods avoid these problems, at lower cost. Dense spontaneous settlement of mussels on Biorock, British Columbia (center) with little or none on controls on either side. Photo: Eric Vanderzee. A warning note: Biorock™ process is elegantly simple, and easily executed by those with special training and materials, but will fail if imitated without authorized expertise and maintenance.